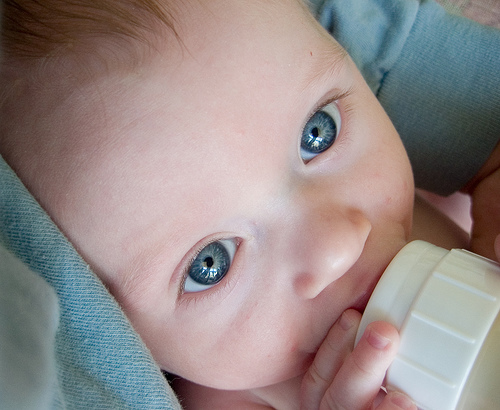 In the first law of its kind in the States, the Suffolk County Legislature voted Tuesday to ban polycarbonate baby bottles. BPA would have to be removed from sippys and bottles intended for children under 3, or those products would have to be removed from store shelves. There are plenty of viable, cost-effective and safe alternatives. The county now says they’re evaluating the impact of the law pending an upcoming public hearing. But the most easily impacted by BPA, the chil’ens, aren’t likely to be speaking up. And considering many of the health effects are long-term, let’s hope that the wealth of scientific studies that show the evils of BPA will prevail. Bisphenol-A is an endocrine disruptor that has been linked to lower sperm count, early onset of puberty, breast cancer, and obesity. 95 percent of American adults have detectable levels of BPA. This is a tough one. BPA-laden products are everywhere. Pretty much every kid cup you pick up at a pharmacy contains the stuff. We’re all smart shoppers and go BPA-free, but not everyone is. So will the store shelves in Suffolk County be bare? Or will manufacturers get with the program and make safe feeding gear for our critters? Image: pfly on Flickr under a Creative Commons License. « Budding Videographers: How is Your Family Going Green? Submit a Video and Win 5,000 bucks! Pretty sure my mom had me slurping on one of those BPA sippy cups. Should I be worried? The most unsettled aspect of BPA is whether or not it actually causes developmental issues at the levels little babies eat/drink it when solely on formula. All the studies to date were done on BPA but even babies convert it to a harmless form in the first 6 hours and dont actually have those levels in their blood. Besides the cups arent even close to a problem, canned foods have higher levels, and even they give you less BPA than is a problem. McDonald's Fries to Go Pesticide-Free?